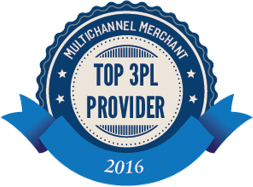 Atlanta, GA - FSI has been named a Multichannel Merchant Top 3PL for 2016, a list of leading third-party logistics providers selected by the editors of Multichannel Merchant. With the growth of ecommerce and the number of 3PLs growing, MCM felt it was important to designate 3PLs that were ecommerce qualified and experienced. This online resource is a searchable database for merchants looking for expert third-party ecommerce fulfillment and logistics services providers. Merchants can review each service provider’s featured capabilities, ideal client types, equipment and systems, contact information and more.